I took these pictures really quick. So I warn you they are not at their best. 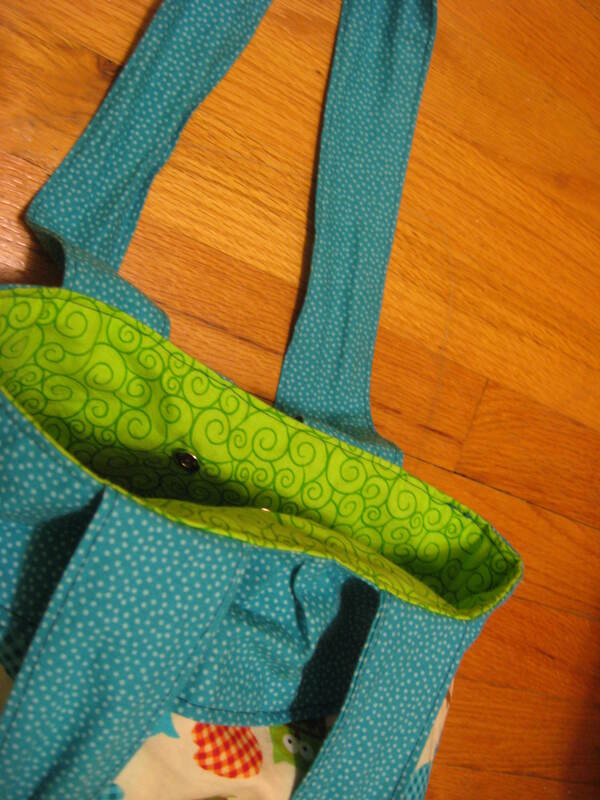 I have been really wanting to sew a bag for myself. I had a few different bags bookmarked online and in my books. I finally decided on the Folk Bag from One-Yard Wonders. I am very happy with how it turned out! It is some of my better sewing. The owls make me very happy and I love the colors. I find myself being drawn to turquoise more and more. Sadly there have been a couple of casualties in my knitted socks so I must get back to knitting my mystery sock so I have a finished pair soon! I also have a trip coming up soon and I should be able to finish another pair of socks during that trip and hopefully that will make up for what I lost. Poor, Poor socks but they were very loved and kept my feet cozy in the cooler months. I may try some darning but I have never done it before so i am a bit unsure about it. if you have any tips let me know! « Where Have You Been???? I know nothing about darning but I have seen darning eggs and I know those are somehow involved. Your bag is lovely. 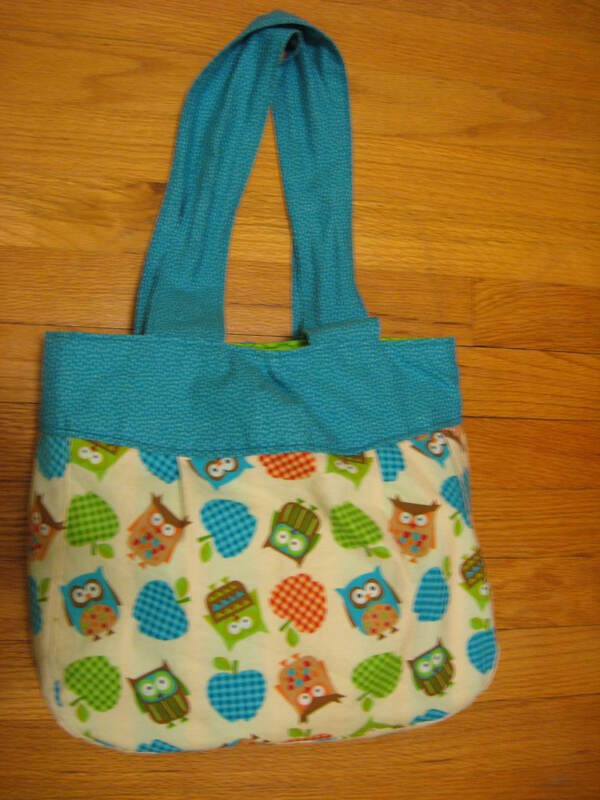 I love the owls and the lime green lining:) You really have an eye for color.